Include your logo at no additional charge. Send us the file at info@exhibitfarm.com. 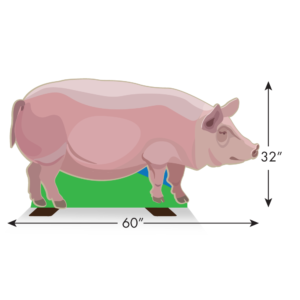 This self-standing two-dimensional cutout features bright graphics of a classic barnyard pig. Constructed with stabilizing feet, the cutout can stand alone. Click here to see our barnyard pig cutout. A custom animal option is also available. Black PVC sintra with adhesive vinyl and aluminum feet. 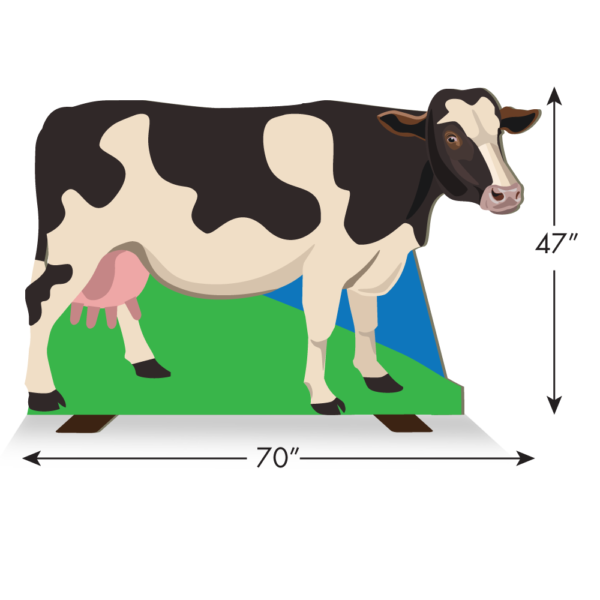 Cow cutout measures at approximately 70 by 47 inches tall. 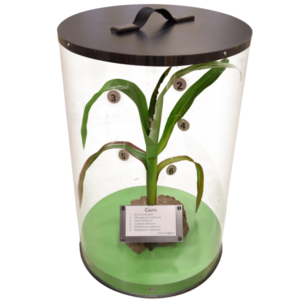 Looking to add some personality to your display area while still keeping it simple? We’ve got a solution. 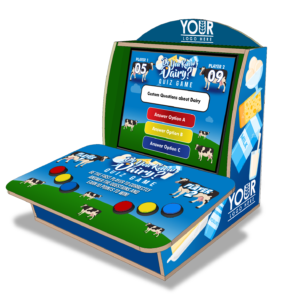 Bring along one of agriculture’s favorite barnyard animals with our cutouts. 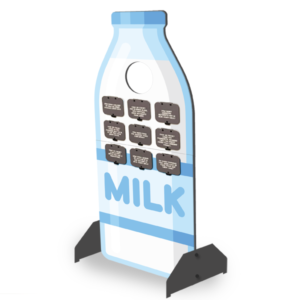 This self-standing two-dimensional cutout features a bright graphic of a cow. 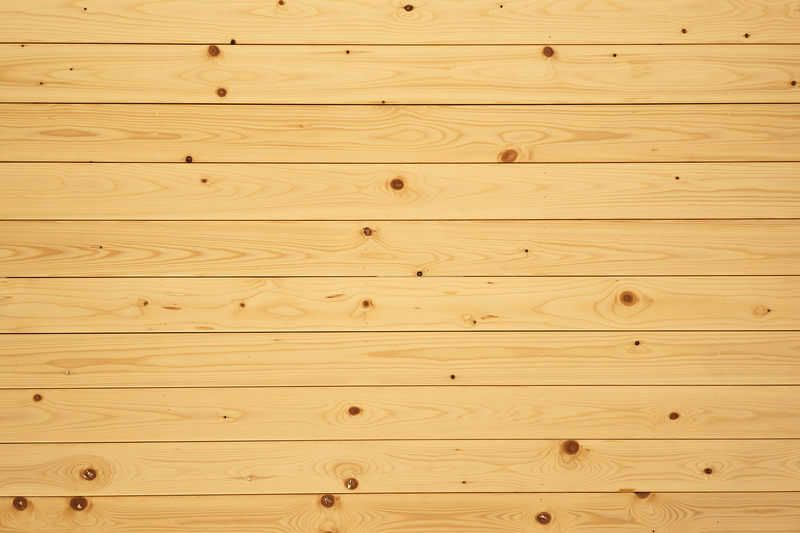 The graphic is mounted on birch plywood. 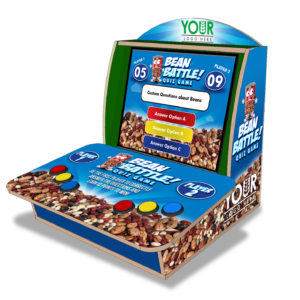 The cartoon animal is nearly life-sized, making it big enough to fill up the blank space in your exhibit area but not so big that it will crowd out the rest of your displays. Constructed with stabilizing feet, the cutout can stand alone. 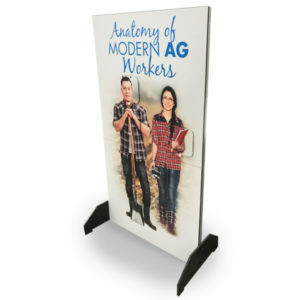 As a flat, two-dimensional piece, it is easy to transport from location to location.